We keep a very good stock of spares and accessories for most motorcycles. This includes sport, commuter, mopeds, enduro and motocross. We opened in 1984 initally selling secondhand spares. As time progressed and the market changed, new patterns and genuine parts were introduced. 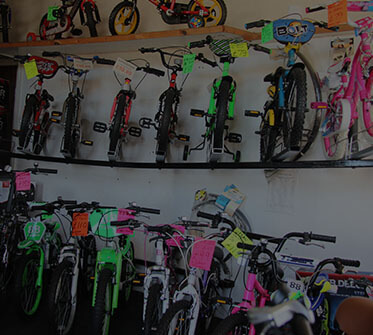 We started to sell bicycle parts in 1988 and car service parts in 1995. Motorcycle wheelbuilding is a unique part of the business and we have spoke threading machinery to thread galv and stainless spokes on site. 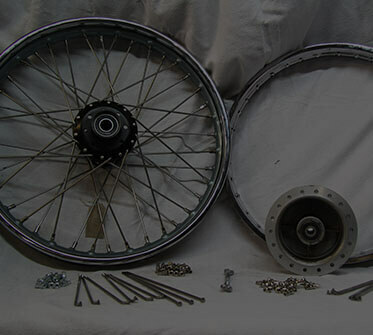 This means we can rebuild and repair spoked wheels in less time. In our 35th year, we are proud to offer a comprehensive service to motorcyclists, cyclists and car owners. 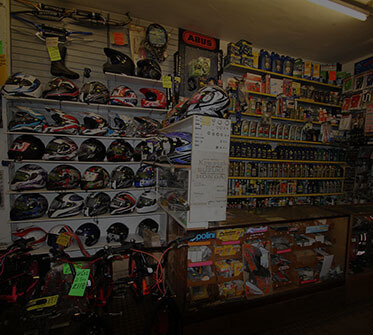 The shop is often known locally as Charlie's Motorcycles. At busy times if the phone is not answered please wait a short while and call again. EASTER OPENING TIMES. Open Friday & Saturday. Closed Monday & Tuesday.